For the amount of golfing experience they had, and the time they spent waiting for snow-covered local golf courses to open up this spring, it's remarkable that the Wood River High School girls' golf team made it all the way to last week's State 4A tournament. But they did, for only the second time in school history—four girls on the squad, three in the junior class and one freshman. And they had a great time during the eight-school state tournament May 16-17 at Centennial Golf Course in Nampa. Wood River's leader was junior Jennie Williams, who carded a respectable 36-hole total of 89-94 for 183 to finish in 18th place of the 41 4A girls in the state field at Nampa. Her best day was the Sunday practice round, when she shot 80. Williams, 17, daughter of Bob and Lori Williams of Ketchum, has held the No. 1 position on the girls' team since she first qualified for state as a freshman in 2009. She's a golfing pioneer at Wood River High in that respect, yet it's not like she has been playing the sport her entire life. She didn't get interested in golf until she was 13, when she applied for and was offered a Bigwood golf pass scholarship by the Bigwood Women's Golf Association. Jennie gained experience by playing in scramble tournaments with her father and tackling the course with her family. 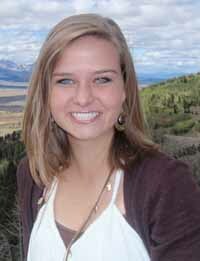 Last summer, she played in the Bigwood Ladies League and won the Bigwood club championship—earning the young woman a berth in the Idaho Golf Association's Tournament of Championships in late September at Sun Valley. She had never played the resort golf course before. That fact, and the caliber of the women's field, was a huge learning experience. In high school competition this spring, she benefited from it. Williams battled every week to make a breakthrough against the Twin Falls Bruins stranglehold on the Great Basin Conference. It wasn't an easy thing to do. But she persisted and the practice paid off. Most of the season, Williams shot in the high 80s for her 18-hole rounds. But, on a drizzly day at Rupert Country Club for the state-qualifying Great Basin Conference district meet May 10, Williams carded a personal-best 80 to finish second overall to individual medalist Katherine Reed of Twin Falls (79). Her playing progress and the camaraderie with her teammates made it a special spring. Williams said, "We had just four girls come out for golf but I am so proud of my teammates. Mary Petzke is a freshman. She has really grown in the sport and her scores have dropped quite a bit. Junior Amanda Stelling has only been playing golf for a month-and-a-half and she ended the season with a personal-best 103 at state. "Junior Alma Stosius, my former gymnastics teammate, went out for golf because I asked her to, so that we would have enough girls to field a team. She actually did, even borrowing a set of clubs to play. These girls hadn't played much golf, if any, before this season, so I am really proud of them. We had fun at state." Williams's scores also improved. She said, "I accomplished all that I set out to this season. I hoped for low 80s, even thinking I was capable of breaking into the 70s. I shot my 80 at district, when my last putt rimmed the cup and fell out. But I accomplished my goal of making it to state as an individual, and I was so excited for the runner-up place at district. "I'm hoping for my senior year to be another good one. I hope to play a few tournaments the rest of this year." At state golf, Stelling finished with rounds of 103-118 for 221, Petzke shot 128-118 for 246 and Stosius 146-140 for 286. Wood River finished eighth as a team behind champion Moscow, second-place Middleton and third-place Twin Falls. It was Moscow's second consecutive State 4A girls' golf title.